Since I am enjoying knitting on my Entrelac Blanket I thought I would take some time today to tell you about the yarn I am using, Perfection by Kraemer Yarns. Perfection is a worsted weight yarn with 200 yds/3.5 ounce skein. 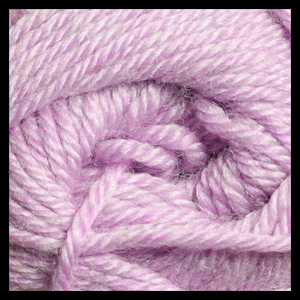 It is 30% Domestic Merino and 70% Acrylic, machine washable and tumble dry. The merino part makes it much softer that other wool/acrylic blends on the market and it feels heavenly! It is currently available in 40 luscious colors with that color range expected to increase to 48 this quarter. We keep all colors in stock, so you can start your project as soon as you dream it up. If, by some odd chance we do not have enough of a color you need – I am more that happy to order plenty for you. Kraemer is fantastic about shipping so you will have minimal delays. I think that certain things need to be machine washable. Baby stuff, afghans… that sort of stuff. This yarn is just as it is billed, Perfection! At $5.95/skein it is also affordable. Something I think we can all appreciate. The best part? Kraemer yarns are spun right here in the USA in Nazareth, Pennsylvania. When I was growing up my Dad worked in the auto plants in Detroit. I have a deeply ingrained sense of “Buy American” and I was thrilled to find Kraemer yarns.